Contado is an Aglianico Riserva DOC produced by Di Majo Norante in the heart of Molise. It has a pleasant scent of red and ripe fruits, with strong spicy notes. 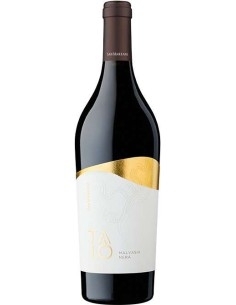 On the palate it is velvety, soft and with a good tannic body. 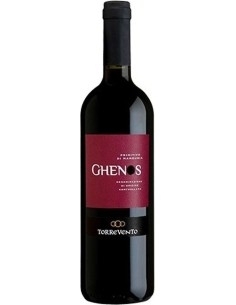 On the palate it is velvety, soft and with a good tannic body. In Molise wine has a tradition dating back to the Samnites and the Romans, who introduced the cultivation of vines to it. The production methods are those handed down from one generation to another in the southern Apennines, always linked to the values of the rural world. The Masseria Di Majo Norante is located north of the Gargano in the Ramitello district, in the countryside of Campomarino, where the loose and partly sandy soil and the summer breeze combine to create a particularly favorable habitat. Alessio Di Majo, a stubborn and countercurrent winemaker, has sacrificed productivity and approval of taste to the constant pursuit of quality and typicality, in the belief that the southern varieties are more suited to the climatic conditions of the Contado del Molise. A brief photo gallery of the Di Majo farm follows.